Country Terrace registered nurse Christina Kissoondath has been named the Komoka, Ont. 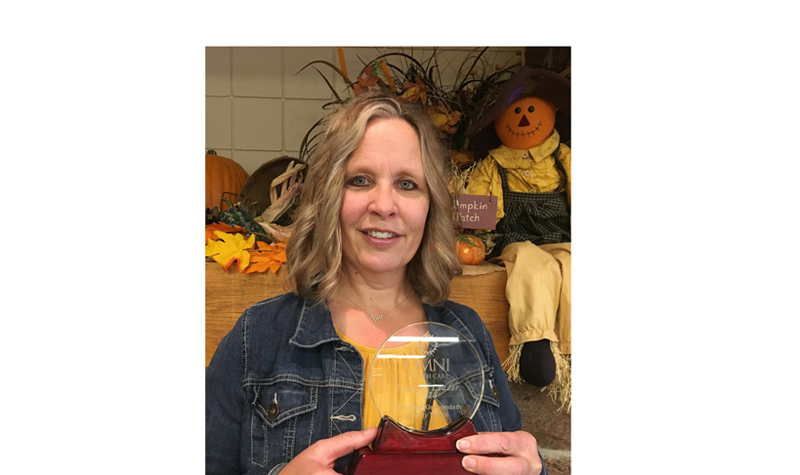 long-term care home’s 2018 recipient of the Inspired Leadership Award. In nominating Christina for the honour, administrator Karen Dann and director of care Lynda DeBuck cite Christina’s ability to mentor new staff members and build a strong resident-centred front-line team on the night shift. Karen adds that Christina is a “positive force” at Country Terrace who reflects the characteristics of a strong leader every day. OMNI’s Inspired Leadership Award is presented to staff members from each of the organization’s 18 long-term care homes. The accolade recognizes people who demonstrate OMNI’s mission, vision and values. Inspired Leaders also possess outstanding leadership skills and are committed to their work.